The new China Glaze collection from Cirque De Soleil had two glitter polishes that I needed to have. China Glaze It’s a Trap-eze! is very popular right now and I’m seeing it everywhere on ig nail gals. I love this nail polish! Its so sparkly and fun. The big brands definitely took a note from indie nail polishes. This is white base jelly polish and after two coats it covers perfectly. The application is easy and glitterific! 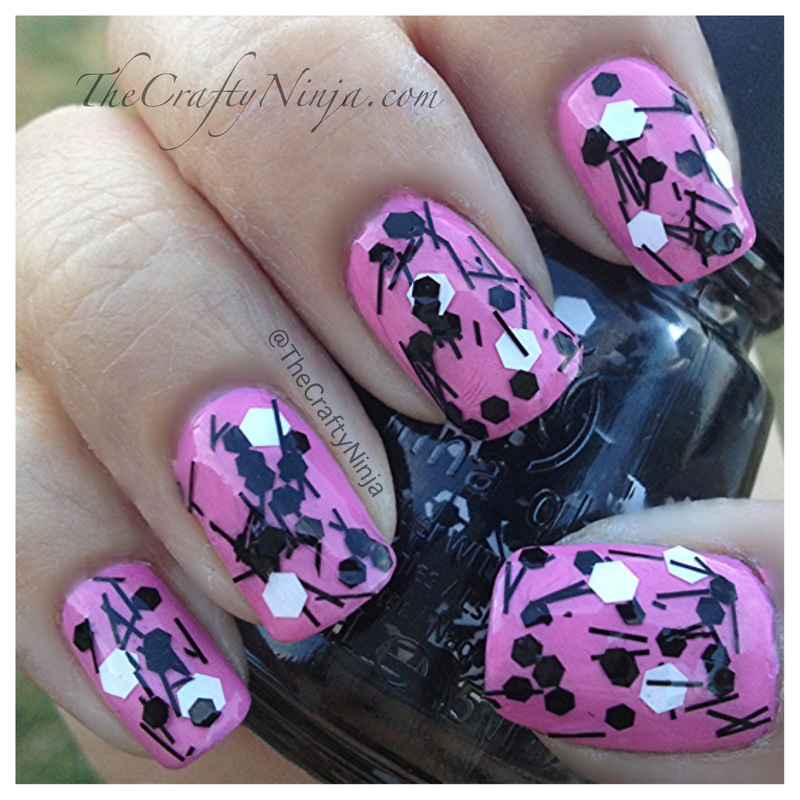 China Glaze Whirled Away has big white and smaller black hexagon sprinkled all over. The application isn’t the easiest but the glitter is very eye catching. I applied it over Revlon Cupid. Love the color combination of pink, black, and white.